Conan the Cimmerian (series), Solomon Kane (series), The Hour of the Dragon , "Worms of the Earth", "Pigeons from Hell"
Conan the Barbarian is a fictional sword and sorcery hero who originated in pulp fiction magazines and has since been adapted to books, comics, several films, television programs, video games, role-playing games, and other media. The character was created by writer Robert E. Howard in 1932 in a series of fantasy stories published in Weird Tales magazine. 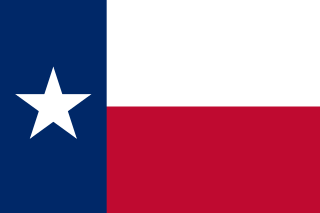 Howard was born and raised in Texas. He spent most of his life in the town of Cross Plains, with some time spent in nearby Brownwood. A bookish and intellectual child, he was also a fan of boxing and spent some time in his late teens bodybuilding, eventually taking up amateur boxing. From the age of nine he dreamed of becoming a writer of adventure fiction but did not have real success until he was 23. Thereafter, until his death by suicide at age 30, Howard's writings were published in a wide selection of magazines, journals, and newspapers, and he became proficient in several subgenres. His greatest success occurred after his death. Although a Conan novel was nearly published in 1934, Howard's stories were never collected during his lifetime. The main outlet for his stories was Weird Tales , where Howard created Conan the Barbarian. With Conan and his other heroes, Howard helped fashion the genre now known as sword and sorcery, spawning many imitators and giving him a large influence in the fantasy field. Howard remains a highly read author, with his best works still reprinted. Howard's suicide and the circumstances surrounding it have led to speculation about his mental health. His mother had been ill with tuberculosis his entire life, and upon learning she had entered a coma from which she was not expected to wake, he walked out to his car and shot himself in the head. Robert E. Howard at about five years old (circa 1911). 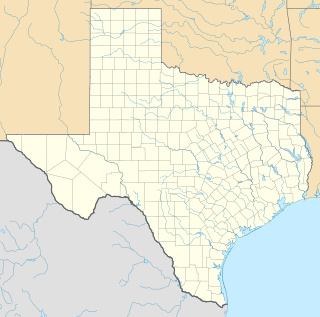 Bronte is a town in Coke County, Texas, United States. The population was 999 at the 2010 census. Other experiences would later seep into his prose. Although he loved reading and learning, he found school to be confining and began to hate having anyone in authority over him. Experiences watching and confronting bullies revealed the omnipresence of evil and enemies in the world, and taught him the value of physical strength and violence. As the son of the local doctor, Howard had frequent exposure to the effects of injury and violence, due to accidents on farms and oil fields combined with the massive increase in crime that came with the oil boom. Firsthand tales of gunfights, lynchings, feuds, and Indian raids developed his distinctly Texan, hardboiled outlook on the world. Sports, especially boxing, became a passionate preoccupation. At the time, boxing was the most popular sport in the country, with a cultural influence far in excess of what it is today. James J. Jeffries, Jack Johnson, Bob Fitzsimmons, and later Jack Dempsey were the names that inspired during those years, and he grew up a lover of all contests of violent, masculine struggle. In 1920, on February 17, the Vestal Well within the limits of Cross Plains struck oil and Cross Plains became an oil boomtown. Thousands of people arrived in the town looking for oil wealth. New businesses sprang up from scratch and the crime rate increased to match. Cross Plains' population quickly grew from 1,500 to 10,000, it suffered overcrowding, the traffic ruined its unpaved roads and vice crime exploded but it also used its new wealth on civic improvements, including a new school, an ice manufacturing plant, and new hotels. Howard hated the boom and despised the people who came with it. He was already poorly disposed towards oil booms as they were the cause of the constant traveling in his early years but this was aggravated by what he perceived to be the effect oil booms had on towns. "I'll say one thing about an oil boom; it will teach a kid that Life's a pretty rotten thing as quick as anything I can think of." Robert E. Howard in his Senior Year at Brownwood High School, 1923. Oriental Stories (Feb–Mar 1931) featuring "Red Blades of Black Cathay" by Howard and his best friend Tevis Clyde Smith. 1929 was the year Howard broke out into other pulp markets, rather than just Weird Tales. The first story he sold to another magazine was "The Apparition in the Prize Ring," a boxing-related ghost story published in the magazine Ghost Stories. In July of the same year, Argosy finally published one of Howard's stories, "Crowd-Horror", which was also a boxing story. Neither developed into ongoing series, however. Weird Tales (May 1934) featuring "Queen of the Black Coast." This was the first of only three covers featuring Conan, although nine Conan stories featured on the cover in total. Weird Tales (September 1934) featuring "The People of the Black Circle," the first of the late period Conan stories. Weird Tales (December 1935) featuring the first installment of the novel The Hour of the Dragon. Spicy-Adventure Stories (September 1936) featuring "The Dragon of Kao Tsu" by Sam Walser (a.k.a. 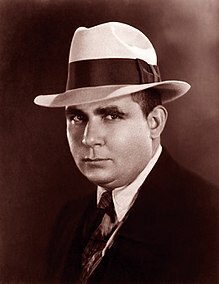 Robert E. Howard). Weird Tales (July 1936) featuring "Red Nails." The feast is over and the lamps expire." After Howard bought a car in 1932, he and his friends took regular excursions across Texas and nearby states. His letters to Lovecraft also contain information about the history and geography he encountered on his journeys. Howard was also a practitioner and fan of boxing, as well as an avid weightlifter. An Underwood typewriter, such as Howard used to write his poetry and fiction. I have carefully gone over, in my mind, the most powerful men—that is, in my opinion—in all of the world's literature and here is my list: Jack London, Leonid Andreyev, Omar Khayyam, Eugene O'Neill, William Shakespeare. All these men, and especially London and Khayyam, to my mind stand out so far above the rest of the world that comparison is futile, a waste of time. Reading these men and appreciating them makes a man feel life is not altogether useless. Although he had his faults as a writer, Howard was a natural storyteller, whose narratives are unmatched for vivid, gripping, headlong action ... In fiction, the difference between a writer who is a natural storyteller and one who is not is like the difference between a boat that will float and one that will not. If the writer has this quality, we can forgive many other faults; if not, no other virtue can make up for the lack, any more than gleaming paint and sparkling brass on a boat make up for the fact that it will not float. An exception to this, in King's opinion (again from Danse Macabre ) was the author's Southern Gothic horror story "Pigeons From Hell." King referred to this work as "one of the finest horror stories of our century." Three publishing houses have put out collections of Howard's letters. In 1989 and 1991, Necronomicon Press published Robert E. Howard: Selected Letters in two volumes (1923–1930 and 1931–1936) edited by Glenn Lord with Rusty Burke, S. T. Joshi, and Steve Behrends. In 2007 and 2008, The Robert E. Howard Foundation Press published a three volume set (1923–1929, 1930–1932, and 1933–1936) titled The Collected Letters of Robert E. Howard, edited by Rob Roehm. Additionally, in 2009, Hippocampus Press published two volumes (1930–1932 and 1933–1936) of Howard's correspondence with H. P. Lovecraft as A Means to Freedom: The Letters of H.P. Lovecraft & Robert E. Howard, edited by S. T. Joshi, David Schultz, and Rusty Burke. Robert E. Howard's legacy extended after his death in 1936. Howard's most famous character, Conan the Barbarian, has a pop-culture imprint that has been compared to such icons as Tarzan of the Apes, Count Dracula, Sherlock Holmes, and James Bond. Howard's critical reputation suffered at first but over the decades works of Howard scholarship have been published. The first professionally published example of this was L. Sprague de Camp's Dark Valley Destiny (1983) which was followed by other works, including Don Herron's The Dark Barbarian (1984) and Mark Finn's Blood & Thunder (2006). Also in 2006, a charity, Robert E. Howard Foundation, was created to promote further scholarship. Following Robert E. Howard's death, the courts granted his estate to his father, who continued to work with Howard's literary agent Otis Adelbert Kline. Dr. Isaac Howard passed the rights on to his friend Dr. Pere Kuykendall, who passed them to his wife, Alla Ray Kuykendall, and daughter, Alla Ray Morris. Morris left the rights to the widow of her cousin, Zora Mae Bryant, who gave control to her children, Jack Baum and Terry Baum Rogers. The Baums eventually sold their rights to the Swedish company Paradox Entertainment, Inc.
Howard's first published novel, A Gent from Bear Creek , was printed in Britain one year after his death. This was followed in the United States by a collection of Howard's stories, Skull-Face and Others (1946) and then the novel Conan the Conqueror (1950). The success of Conan the Conqueror led to a series of Conan books from publisher Gnome Press, the later editor of which was L. Sprague de Camp. The series led to the first Conan pastiche, the novel The Return of Conan by de Camp and Swedish Howard fan Björn Nyberg. De Camp eventually achieved control over the Conan stories and Conan brand in general. Oscar Friend took over from Kline as literary agent and he was followed by his daughter Kittie West. When she closed the agency in 1965, a new agent was required. De Camp was offered the role but he recommended Glenn Lord instead. Lord began as a fan of Howard and had re-discovered many unpublished pieces that would otherwise have been lost, printing them in books such as Always Comes Evening (1957) and his own magazine The Howard Collector (1961–1973). He became responsible for the non-Conan works and later restored, textually-pure versions of the Conan stories themselves. In 1966, de Camp made a deal with Lancer Books to republish the Conan series, which led to the "First Howard Boom" of the 1970s; their popularity was enhanced by the cover artwork of Frank Frazetta on most of the volumes. Many of his works were reprinted (some printed for the first time) and they expanded into other media such as comic books and films. The Conan stories were increasingly edited by de Camp and the series was extended by pastiches until they replaced the original stories. In response, a puristic movement grew up demanding Howard's original, un-edited stories. The first boom ended in the mid-1980s. In the late 1990s and early 21st century, the "Second Howard Boom" occurred. This saw the printing of new collections of Howard's work, with the restored texts desired by purists. As before, the boom led to new comic books, films and computer games. Howard's house in Cross Plains has been converted into the Robert E. Howard Museum, which has been added to the National Register of Historic Places. The works of Robert E. Howard have been adapted into multiple media, such as the two Conan films released in the 1980s starring Arnold Schwarzenegger. In addition to the Conan films, other adaptations have included Kull the Conqueror (1997) and Solomon Kane (2009). In television, the anthology series Thriller (1961) led the adaptations with an episode based on the short story "Pigeons from Hell." The bulk of the adaptations have, however, been based on Conan with two animated and one live action series. Multiple audio dramas have been adapted, from professional audio books and plays to LibriVox recordings of works in the public domain. Computer games have focussed on Conan, beginning with Conan: Hall of Volta (1984) and continuing on to the MMO Age of Conan: Hyborian Adventures (2008). The first table-top roleplaying game based on Howard's works was TSR's "Conan Unchained!" (1984) for their game Advanced Dungeons & Dragons. The first comic book adaptation was in the Mexican Cuentos de Abuelito – La Reina de la Costa Negra No. 17 (1952). Howard related comic books continued to be published to the present day. Howard is an ongoing inspiration for and influence on heavy metal music. Several bands have adapted Howard's works to tracks or entire albums. The British metal band Bal-Sagoth is named after Howard's story "The Gods of Bal-Sagoth." ↑ Patrick Mac Conaire was used once as the pen name for the story "Ghost in the Doorway". Steve Costigan was the name Howard used for himself in his semi-autobiography Post Oaks & Sand Roughs. Patrick Ervin was an occasional pen name, especially for the Dennis Dorgan stories. Patrick Howard was a pen name used for some of Howard's poetry. Sam Walser was a pen name used for the Wild Bill Clanton stories. Because some pulp magazines used house names, especially when reprinting older works, Howard was also credited as: Mark Adam, William Decatur, R. T. Maynard, and Max Nielson. Ghost Stories used John Taverel as the author's name for "The Apparition in the Prize Ring", to make it seem to be a true story. ↑ Fans of Howard frequently refer to him by his initials, REH. His friend H. P. Lovecraft gave him the nickname "Two-Gun Bob" due to his knowledge about the Old West and Texas in particular. ↑ Grin (2006 , pp. 13–18): Contains facsimile reproductions of Howard's birth certificate and death record. ↑ Finn (2006 , p. 26) notes that the birth record incorrectly shows Howard's birthdate as January 24, in addition to altering his mother's age. ↑ Burke (3rd paragraph): notes that Howard celebrated his birthday on the 22nd rather than the 24th, as recorded in Parker County records. His father also gave his birthday as January 22. ↑ Joshi & Dziemianowicz (2005 , p. 1095): "Critical consensus, however, unfailingly places the birth of sword-and-sorcery with the publication of 'The Shadow Kingdom' (August 1929), in which Howard introduced the brooding figure of King Kull, ruling over the fading land of Valusia in a Pre-Cataclysmic Age when Atlantis is but newly risen from the waves." ↑ Gramlich & Westfahl (2005 , p. 780): "The term 'sword and sorcery' was coined by Fritz Leiber but the genre was pioneered by Robert E. Howard, a Texas pulp writer who combined fantasy, history, horror, and the Gothic to create the Hyborian Age and such characters as Conan the Conqueror and Kull." ↑ Herron (2004 , pp. 161–162): "Suddenly one Golden Age in literature had drawn to a close...For just over a decade these three [REH, CAS, and HPL] had created a phenomenal array of new imaginative fiction and poetry...In these same years another Golden Age played out in the detective pulp The Black Mask...In England, C. S. Lewis, J.R.R. Tolkien and others called their group centered in Oxford University The Inklings...the Bloomsbury Group, which flourished from 1904 until World War II, form yet another. So do the American poets and novelists who became known as The Beats..."
↑ Tompkins (2005 , p. 38): "True, the era during which drugstore racks were a Muscle Beach of Kandars, Kothars, Thongors, Wandors, Odans, and Orons is long gone, but is S&S in trouble?" Tompkins then presents a series of quotes from modern fantasy writers who claim a strong Howardian influence. ↑ Clute & Grant (1999 , pp. 39 & 483): "The combined success of Howard's Conan books and J.R.R. Tolkien's LotR in paperback had resulted in unprecedented interest in heroic and high fantasy. "; "[Howard] remains of central interest in the field of fantasy for his sword and sorcery; the templates he established for that mode have remained influential for most of the 20th century." ↑ Howard, Robert (2005). Wings in the Night. Wildside Press, LLC. p. 240. ISBN 0809511347. "The Tower of the Elephant" is one of the original short stories starring the fictional sword and sorcery hero Conan the Cimmerian, written by American author Robert E. Howard. It's set in the pseudo-historical Hyborian Age and concerns Conan infiltrating a perilous tower in order to steal a fabled gem from an evil sorcerer named Yara. Due to its unique insights into the Hyborian world and atypical science fiction elements, the story is considered a classic of Conan lore and is often cited by Howard scholars as one of his best tales. "Queen of the Black Coast" is one of the original short stories about Conan the Cimmerian, written by American author Robert E. Howard and first published in Weird Tales magazine c. May 1934. It's set in the pseudo-historical Hyborian Age and concerns Conan becoming a notorious pirate and plundering the coastal villages of Kush alongside Bêlit, a head-strong femme fatale. "Red Nails" is the last of the stories featuring Conan the Cimmerian written by American author Robert E. Howard. A novella, it was originally serialized in Weird Tales magazine from July to October 1936. It is set in the pseudo-historical Hyborian Age and concerns Conan encountering a lost city in which the degenerate inhabitants are proactively resigned to their own destruction. Due to its dark themes of decay and death, the story is considered a classic of Conan lore while also cited by Howard scholars as one of his best tales. "Black Colossus" is one of the original short stories starring the fictional sword and sorcery hero Conan the Cimmerian, written by American author Robert E. Howard and first published in Weird Tales magazine, June 1933. Howard earned $130 for the sale of this story. "The Devil in Iron" is one of the original stories by Robert E. Howard about Conan the Cimmerian, first published in Weird Tales in August 1934. Howard earned $115 for the publication of this story. The Coming of Conan the Cimmerian is the first of a three-volume set collecting the Conan stories by author Robert E. Howard. It was originally published in 2002, first in the United Kingdom by Wandering Star Books under the title Conan of Cimmeria: Volume One (1932–1933), and the following year in the United States by Ballantine/Del Rey under the present title. The Science Fiction Book Club subsequently reprinted the complete set in hardcover; the set is noted for presenting the original, unedited versions of Howard's Conan tales. This volume includes thirteen short stories as well as miscellanea for Howard fans and enthusiasts, and is illustrated by noted comic book artist Mark Schultz. The Coming of Conan is a collection of eight fantasy short stories by American writer Robert E. Howard, featuring his sword and sorcery heroes Kull and Conan the Barbarian, together with the first part of his pseudo-history of the "Hyborian Age" in which the Conan tales were set. It was first published in hardcover in the United States by Gnome Press in 1953 and by Boardman Books in the United Kingdom in 1954. The stories originally appeared in the 1930s in the fantasy magazine Weird Tales. The collection never saw publication in paperback; instead, its component stories were split up and distributed among other "Kull" and "Conan" collections. The Blood-Stained God is a 1955 fantasy novella by American writer Robert E. Howard and L. Sprague de Camp, featuring Howard's sword and sorcery hero Conan the Barbarian. It was revised by de Camp from Howard's original story, an unpublished non-fantasy oriental tale that featured Kirby O'Donnell titled "The Curse of the Crimson God". De Camp changed the names of the characters, added the sorcery elements, and recast the setting into Howard's Hyborian Age. The story was first published in the hardbound collection Tales of Conan, and subsequently appeared in the paperback collection Conan of Cimmeria, as part of which it has been translated into German, Japanese, Spanish, Dutch, and Italian. The Conan Chronicles: Volume 2: The Hour of the Dragon is a collection of fantasy short stories written by Robert E. Howard featuring his sword and sorcery hero Conan the Barbarian. The book was published in 2001 by Gollancz as sixteenth volume of their Fantasy Masterworks series. The book, edited by Stephen Jones, presents the stories in their internal chronological order. Most of the stories originally appeared in the magazines Weird Tales, Fantasy Magazine and The Howard Collector. The character, personality and social views of Texan author Robert E. Howard are important in gaining an understanding of the writer as a person and of his body of work. Information about his attitudes comes from the memories of those who knew him, his surviving correspondence and analyses of his works. The distinctive literary styles and themes of Robert E. Howard rely on a combination of many factors. In his fiction, he used devices borrowed from classical and traditional works, as well as formal rhetoric. In his poetry, he used rhythm, stress, and intonation to achieve a sense of motion. Some of his fiction has been described as prose poetry. His works can be distinguished by his use of violence and hate as positive forces in his universe, which can be seen as a part of the American Myth. In keeping with the era in which he worked, a grim and hardboiled theme pervades. The continuing cycle of civilisation and barbarism is highlighted in several works. Although he died before it was formally defined, an existentialism subtext runs through his writing. He was an aesthete and had affinity for romanticism and neo-romanticism, although in this he was out of step with his era. Robert Ervin Howard was an American author born in Peaster, Texas but who traveled between many different towns across Texas until he was thirteen, when his parents settled in the town of Cross Plains, Texas. Clute, John; Grant, John (15 March 1999). The Encyclopedia of Fantasy. St. Martin's Press. ISBN 978-0-312-19869-5.
de Camp, L. Sprague; de Camp, Catherine Crook; Griffin, Jane Whittington (1983). Dark Valley Destiny: The Life of Robert E. Howard. Ultramarine Pub Co. ISBN 978-0-893-66247-9. Joshi, S. T.; Dziemianowicz, Stefan R. (2005). Supernatural Literature of the World: G-O. Greenwood Press. ISBN 978-0-313-32776-6. Moorcock, Michael (2006). Two-Gun Bob: A Centennial Study of Robert E. Howard. Hippocampus Press. ISBN 978-0-9771734-5-7.
de Camp, L. Sprague (1975), The Miscast Barbarian, Gerry de la Ree . Chapbook. Later expanded into Dark Valley Destiny. Robert E. Howard Directory – Online directory for the life and works of Robert E. Howard.